Head lice are not dangerous and do not carry disease, but they will cause itching and discomfort. There are a variety of treatment options for dealing with head lice, from effective home remedies to prescription medicine. Read more about head lice removal and lice prevention. There are three categories of treatment for a head lice infestation (pediculosis). These medications all contain pyrethrum, a natural insecticide that comes from chrysanthemums. Some people are allergic to this active ingredient, so be sure to read all instructions that come with the product. Most treatments rely heavily on combing out the lice and the nits during and after treatment. It is important to follow all directions carefully and check the warning labels on OTC treatments. Occasionally, retreatment or alternative treatments are necessary to completely eliminate the infestation. Lice are spread by sharing clothing and grooming tools with a person who already has pediculosis. Teach your children to never share hats, helmets, caps, or scarves with their friends. Do not share combs and brushes with anyone since these can easily transfer lice. If you or your child has been exposed to a person with head lice, carefully check the hair for lice or lice eggs. 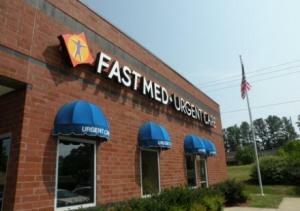 At FastMed Urgent Care, we understand that some medical problems cannot wait until the next day or through the weekend. If think you or your child has head lice, we are there when you need us to diagnose the problem and treat it effectively. Find the FastMed conveniently located near you. We have locations open 365 days a year with extended weekday hours, so contact us or simply come in to meet with a provider regarding head lice treatment. “Wonderful! The cleanliness at the urgent care center was exceptional and the staff was wonderful. It was a great experience.” – Sandy M.